Values have been a common thread for most of my clients over the last week. It’s an interesting question, ‘What do you value?’, in the fact that most of us think we know what our values are but when we’re asked what they are, we get tongue-tied and our mind goes blank. Knowing what you value means that you are in a better position to find it or to stand up for yourself when your values are being challenged. They put you in a place where you know what you stand for, so that if anyone asks you to go against your values, it triggers a little emotional signal that says “hey – this doesn’t sit well with me”. Your values become a guidance system. What qualities are important to you as a person? What qualities are important to you in a boss, in a company, in a job? Note: this one is important for both your current role and if you’re looking for a new job. It’s always good to know exactly what you’re looking for. It sounds pretty obvious but most people forget that as the job hunter you too should be listing qualities that you want in a potential employer – Interviews are a two-way street. What qualities are important to you in a partner or a friend? Sometimes, it can be good to list your values too. Like a little reminder for yourself of what is most important to you. If you’re asked to do something that gives you that “something doesn’t sit right” feeling, consult your list. If it doesn’t match up with the list, it’s okay to say no and it’s okay to have boundaries for your non-negotiables. Some often list values as single words however, if you feel the need to be specific with your values, even better. The clearer you are with your values, the better you’ll be at defending them, cultivating them and manifesting them. As always, download the image and save it to your phone, desktop or pin it somewhere you’ll see it. When you see it, say it and if you think someone you know might benefit from this mantra, share it. 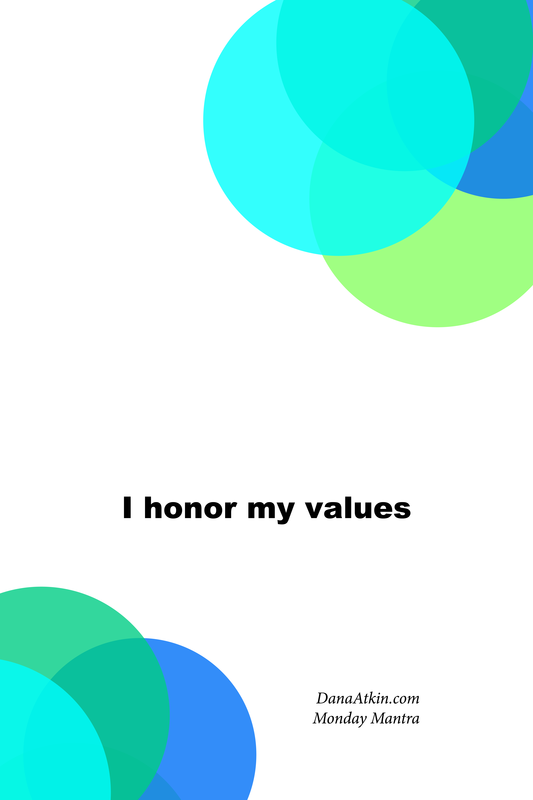 honouring your values, job hunt, job interview, knowing what you want, looking for work, Values, what are values?, what do you value?